During this year’s Rim of the Pacific (RIMPAC) exercise’s mine countermeasures activities, U.S. Navy and Coast Guard units are working with units from Australia, Canada, Great Britain, Japan, the Netherlands and New Zealand. In total, the Navy states about 1,100 personnel from 26 international units are taking part in the mine countermeasures portion of RIMPAC. Part of the exercise is assessing the effectiveness of mine countermeasures operations in confined waters. This includes testing the MH-60S Seahawk Airborne Mine Countermeasure systems, which is already approved for use with the Austal-built Independence-variant Littoral Combat Ships. This is the first time this system is being used during such an exercise, according to the Navy. 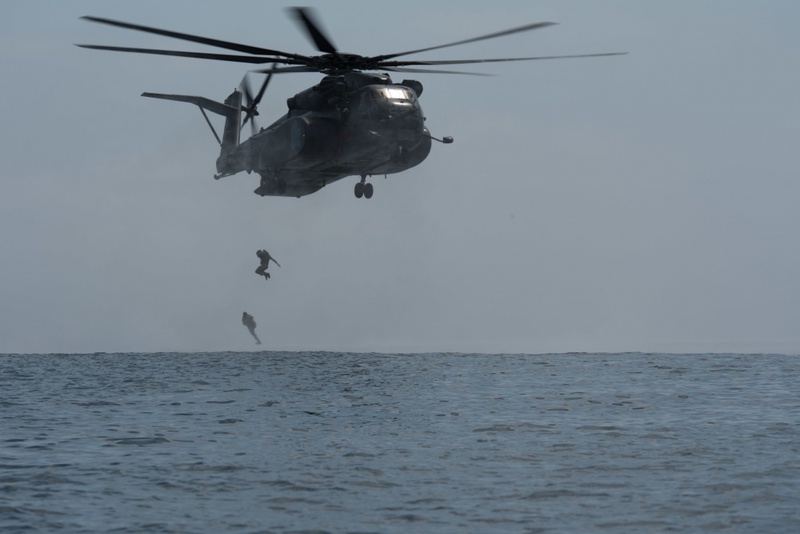 “The training we will complete will increase capability, evaluate new and existing tactics, foster interoperability, and also provide us the opportunity to complete biennial certification of the U.S. Navy’s deployable mine warfare battle staff,” Rear Adm. Dave Welch said in a statement. Welch is the commander of Naval Surface and Mine Warfighting Development Center (SMWDC) and the Navy’s Global Mine Warfare Commander. Much of the exercise involves integrating forces from different navies and practicing mine countermeasures operations. An example from early on in RIMPAC was when U.S. Coast Guard units partnered with Royal Canadian Navy explosive ordnance disposal (EOD) units to conduct maritime interdiction operations, according to a Navy statement. “The purpose of these operations is to increase capability and to build relationships with our partners. Trust isn’t something you can surge, and it’s critical that we maintain and develop these key relationships for the times we really need to rely on one another,” Welch said in a statement. Meanwhile, off the coast of Japan, U.S. Navy mine countermeasure units started the annual 2JA exercise with Japanese Maritime Self-Defense Force mine countermeasure units and Indian navy EOD units, according to a statement from U.S. Amphibious Force 7th Fleet. The exercise involves hunting for mines with sonar and using EOD units divers to neutralize threats. 2JA culminates with the three navies ensuring a safe route through a simulated minefield.